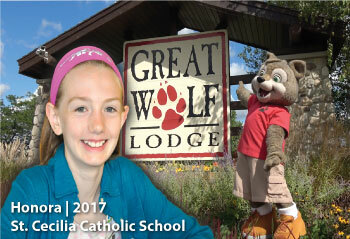 Home » The Battery Recycling Blog » Battery Boss Draw for Family Stay at Great Wolf Lodge February 19th! The OSBRC is in full swing as schools continue to recycle more batteries than ever before! At last count, OSBRC schools recycled 77% more batteries than they had at the same time last year! A big part of that added contribution comes from all of the dedicated Battery Bosses and their families that go that extra mile to recycle as many batteries as they can for their schools and their communities. 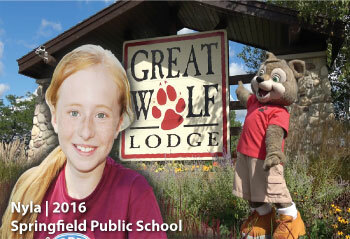 That’s why every year on Family Day, we try to recognize those students and their families by offering them an exclusive entry into our Battery Boss Prize Draw for a family stay at Great Wolf Lodge in Niagara Falls! It’s a small token of our appreciation and one that’s made possible by the generous folks at Great Wolf Lodge. We truly wish every Battery Boss could win a trip, but with the way things have been going, I don’t think they would have enough rooms! Last year we had a wonderful opportunity to visit the beautiful community of Orangeville in the heart of Dufferin County with our friend Wiley the Wolf from Great Wolf Lodge. In a packed gymnasium surrounded by her peers at Montgomery Village Public School, we surprised Jillian and presented her with her prize! Will you be the next lucky Battery Boss to win? Students that complete all five Student Missions by February 19th at 11:59 p.m. will be entered into this exclusive draw!